Some more Progressive Rock in the Christian areana. 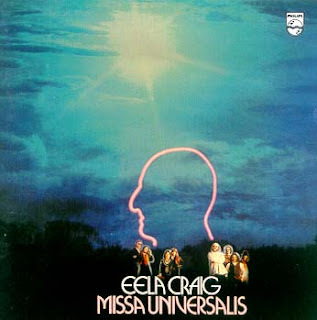 A Mass done buy the Austrian group Eela Craig in 1978. If you enjoyed Eden’s works you will enjoy this one too. – Hubert Schnauer / keyboards, flute. I listened to this LP earlier in the summer and all the right ingredients seemed in place – 70s, prog, European experimentalists, mass in a rock format…….But it didn’t do a thing for me. I liked one or two of the tracks but that was it, really. I’m still surprized, actually ! At the same time, I was listening to a few European “prog” masses/ religious themed works from the same sort of era, late 70s, early 80s. And most of them were similarly dissapointing . And yes, I’m still surprized ! !